The flash drive suitable for small files,please notice before buying! Compatibility - Supports Windows 10/Vista/XP/2000/ME/NT/98,Linux and Mac OS and other common operating systems. Convenient - Memory sticks design with 360° rotation,avoid cap-loss problems,integrated loop makes it easy to attach to key chains, backpacks and etc. Confidence Qaulity - With great chip,this thumb stick allow you segregate music, documents, movies, pictures,etc with security and reliablity. 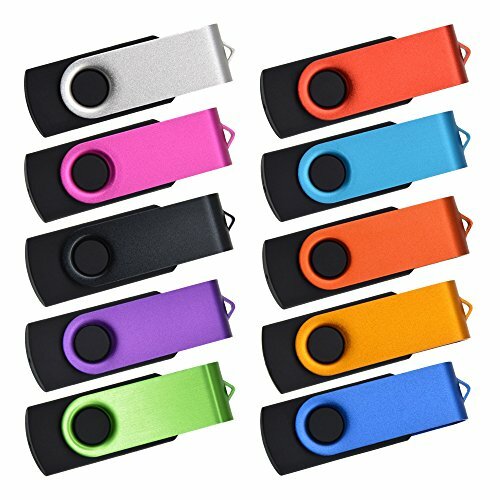 Package - 50 pack small capacity 128MB usb flash drives ,Allows you to classify music, documents, movies, pictures ,etc. If you have any questions about this product by Kepmem, contact us by completing and submitting the form below. If you are looking for a specif part number, please include it with your message.